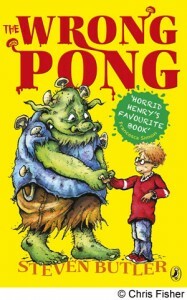 If you are a fan of Roald Dahl and Horrid Henry, then you’ll love the funny, stinky new story The Wrong Pong. In fact Francesca Simon says it’s Horrid Henry‘s favourite book! Written by Steven Butler, this gross story is all about a boy who ends up getting whooshed down the toilet to the world of Under – where he has to live with some pretty disgusting trolls! Click here to find out more about the book and watch the trailer! To see how on earth he came up with such an idea, last Thursday in The Club Sam spoke to the author himself Steven Butler.